Data in your Android needs protection, and today we wrote a useful article that will help you to password protect any files and folders in your Android. We have mentioned three working methods to password protect any files & folders in your Android smartphone. Time to provide encryption to your files and folders in your Android storage. In Android, there are many personal data that can be accessed by any unauthorized person. This is just because your Android data is openly saved in your file explorer that is not encrypted or protected by encryption method and with that, any person can access your files. So, we are discussing the method to protect your files on your Android device. Follow the complete guide discussed below to proceed. 1.2.2 How To Use Folder Lock? Here we will be discussing a cool Android app that will allow you to password protect files on your Android. And all you need is a password to open that file in your device. So follow the steps below to proceed. Step 1. 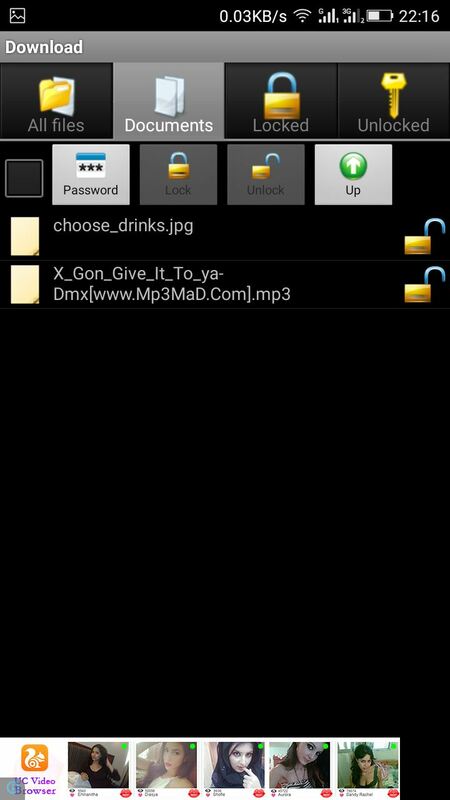 First of all in your Android device, download and install the cool app File Locker. Step 2. Now after installing, launch it in your Android and you will see all the files and folders of Android storage there. Step 3. Now browse to the files that you want to lock with this tool. Step 4. Tap on the file and select the option Lock there. Now you need to enter the password there for the file that you are going to secure with that tool, re-enter the password in the another field and click on lock option. That’s it! 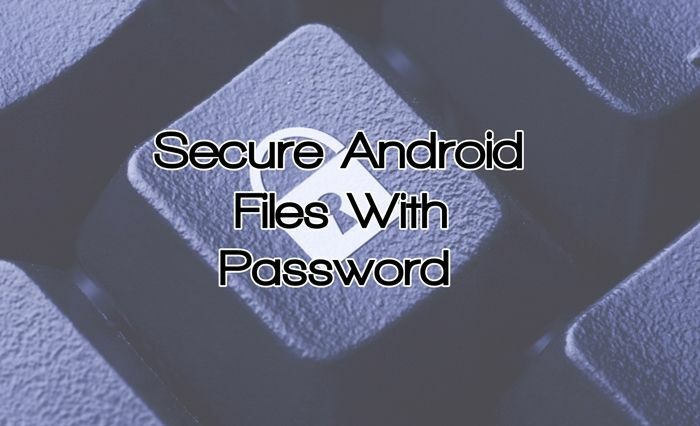 you are done, now the selected file will get secured with password protection and will always need a password to open that file in your Android. 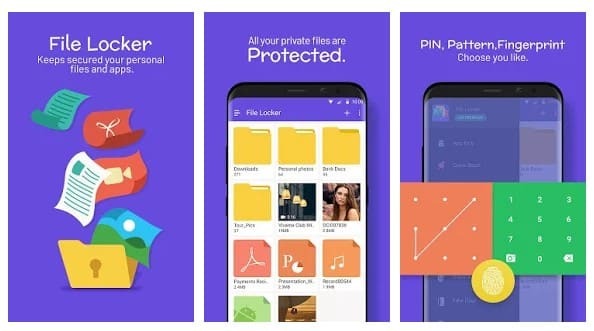 Folder Lock lets you password-protect your personal files, photos, videos, documents, contacts, wallet cards, notes and audio recordings in Android Phones. 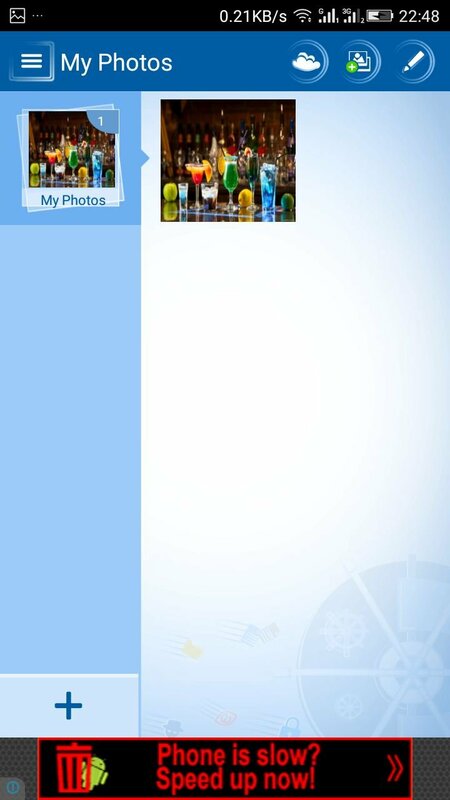 The app comes with a clean and pleasant interface. You can also transfer files from Gallery, PC/Mac, Camera and Internet browser. Step 1. First of all, download and install the app Folder lock on your Android Smartphone and run it. You need to set a password first. Step 2. Now you will see many options, select the option you want. If you want to hide photos then select the photo and add it to Folder lock and hide it. Same thing applies to other files and folders too. That’s it! You can now easily hide your files and other folders using this app. 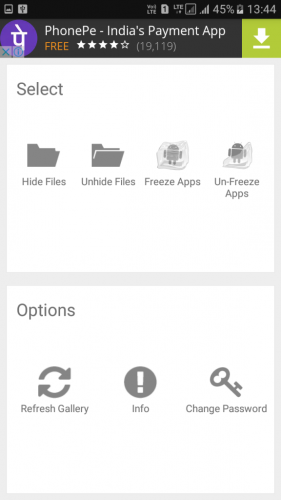 Today we are going to share another trick that will let you hide your files and folders in Android. 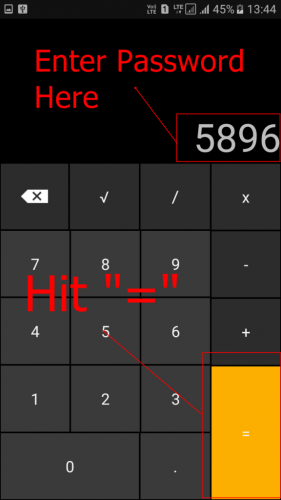 We are going to use “Smart Hide Calculator” which is a fully functional calculator app but with a little twist. 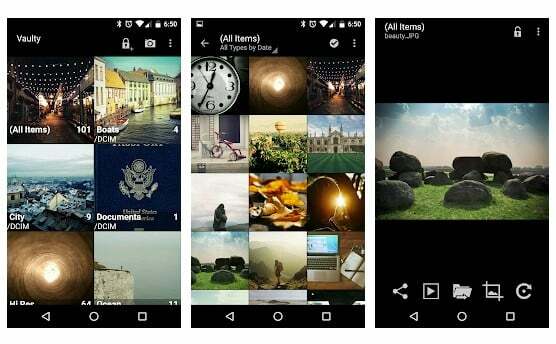 This app is actually a vault where you can store pictures, videos, and documents. Step 1. 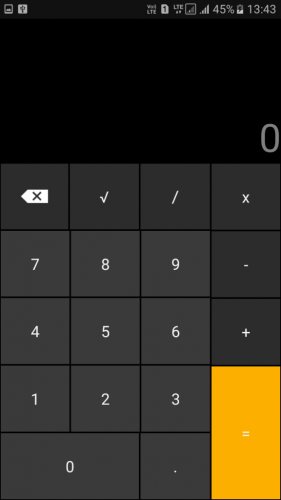 First of all, you need to download and install the app Smart Hide Calculator on your Android smartphone. Step 2. 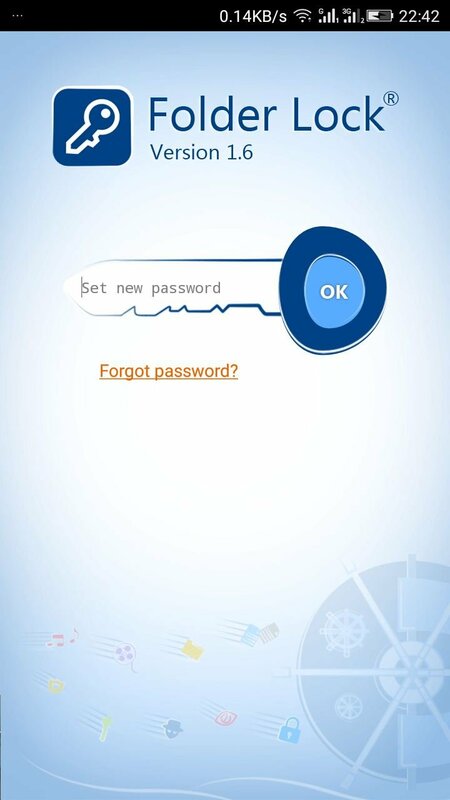 One downloaded, launch the app and there you need to set the password which you will use to unlock your hidden files. Step 3. Now you need to retype your password again. 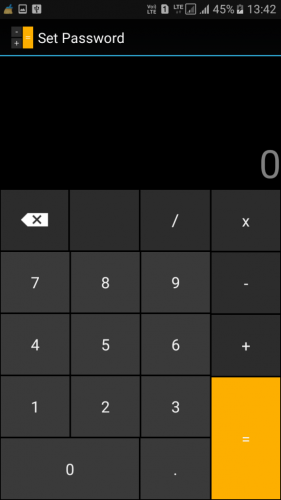 Now you will see a fully functional calculator on your screen. Step 4. If you need to enter the vault simply type your password and then tap on ‘=’ button to access the vault. Step 5. Now once you entered the vault, you will see options like ‘Hide Files’, ‘Unhide Files’, ‘Freeze Apps’ etc. Step 6. Now simply choose the files that you want to hide. That’s it! you are done. If you want to unhide any files then simply go to the vault option and then select the option ‘Unhide Files’ and from there you can unhide files. 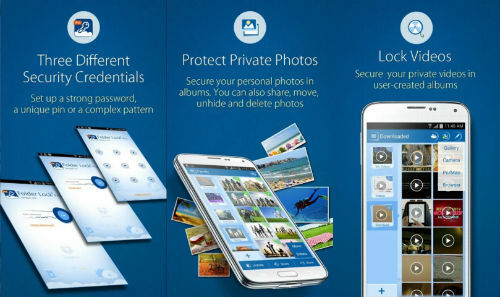 Well, Gallery Vault is another impressive app which can help you to hide photos & videos on your Android smartphone. The great thing about Gallery Vault is that it can encrypt the pictures & videos that you store on the Gallery Vault. Not just that, but GalleryVault can also hide its app icon to avoid detection. So, let’s know how to use Gallery Vault to hide photos & videos on Android. Step 1. 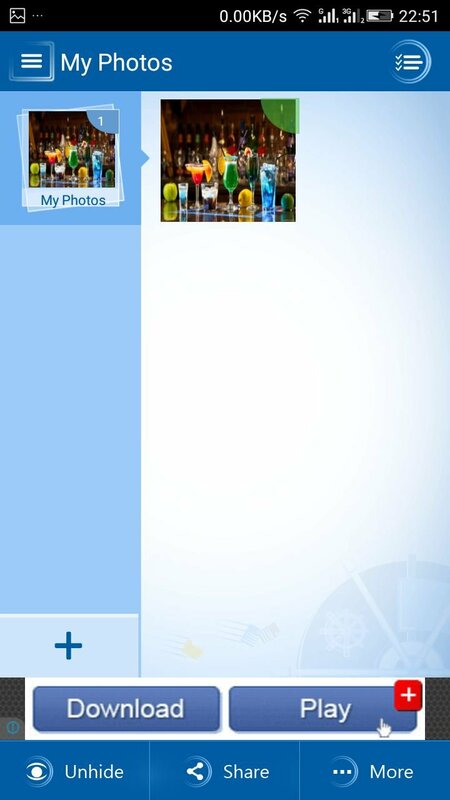 First of all, download & install Gallery Vault on your Android smartphone. You can get the download link from here. Step 2. Once downloaded, open the app. In the first launch, the app will ask you to grant few permissions. Make sure to grant every permission or the app will not work. Now the tool will ask you to set the PIN or Pattern lock. Step 5. Once done, you will be asked whether you want to hide the app icon or not. 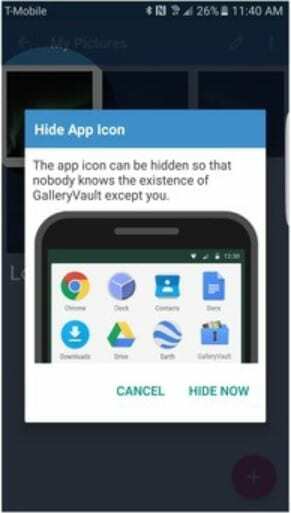 Simply, tap on the ‘Hide Now’ to hide the Gallery Vault icon. Step 6. Now whenever you want to access the hidden file, you need to enter the PIN or Pattern that you have set. In case, if your icon is hidden then you need to access the app through System Settings > Apps > Gallery Vault. That’s it, you are done! 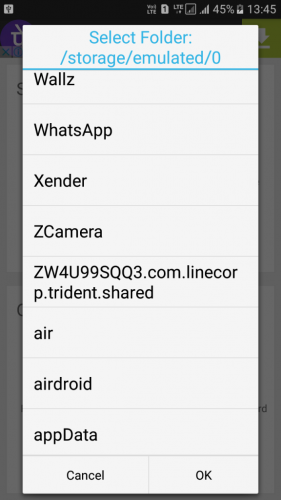 This is how you can password protect any files and folder in Android by using Gallery Vault. With FileSafe – Hide File/Folder easily hide, lock your files, folders, and access them easily using a secret PIN code. Now you can easily share your phone without worrying about privacy. Easy to use File Manager/Explorer-like interface to browse files. 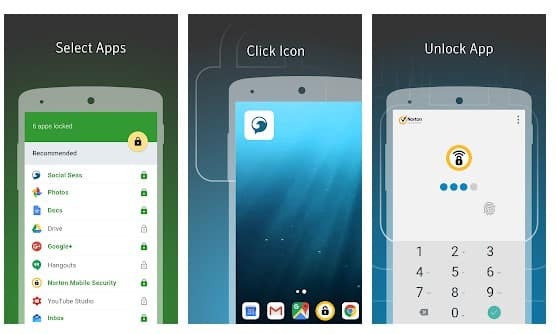 Folder Lock® Advanced is a more sophisticated version of Folder Lock 1.6 for Android, boasting better graphics, new features, and overall performance. Introducing Gallery Lock, which encrypts your photos and videos. You can also secure audios, documents, wallet cards, notes and other types of data on your Android phone. This app lets you hide your images and videos. This doesn’t hide the folders or any other type of file extension. If you are worried people might snoop in your smartphone or tablet then this is the must-have app this lets you hide any images and videos, then view them from inside the app. AppLock can lock Facebook, Whatsapp, Gallery, Messenger, SMS, Contacts, Gmail, Settings, incoming calls and any app you choose. Prevent unauthorized access and guard privacy. Ensure security. 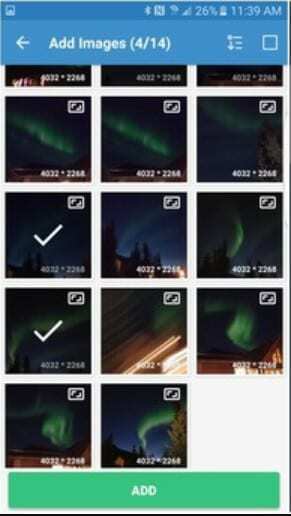 It can even hide pictures and videos too. 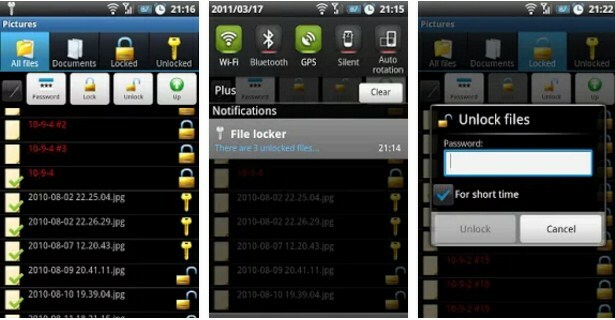 Secure Folder is one of the best folder locker apps which you can use on your Samsung Smartphone. 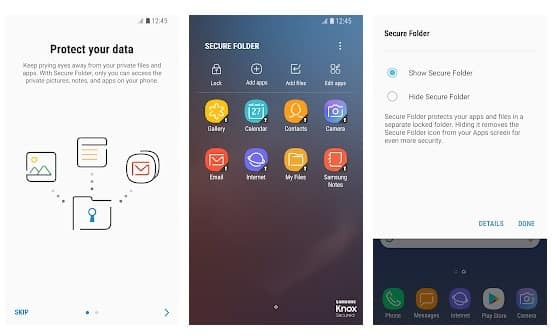 The app is developed by Samsung for its smartphone and it leverages the defense-grade Samsung Knox security platform to create a private space that’s encrypted with a password. So, you can use that private space to lock, files and folders. Private Zone is another amazing app which will let you lock apps to prevent intrusion. 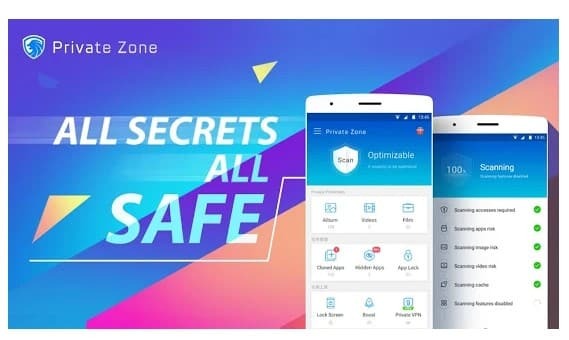 With Private Zone Android app, you can protect your private information by hiding photos & videos and important files in our private zone. 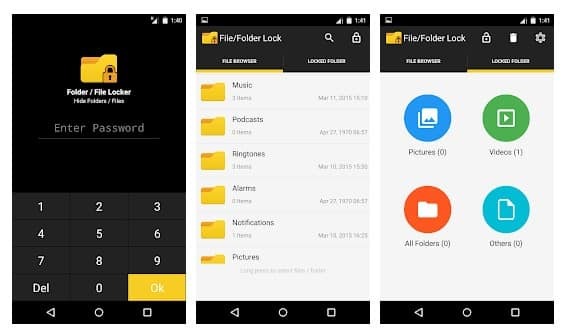 File locker is one of the best and secure file locker app that Android users would love to have. 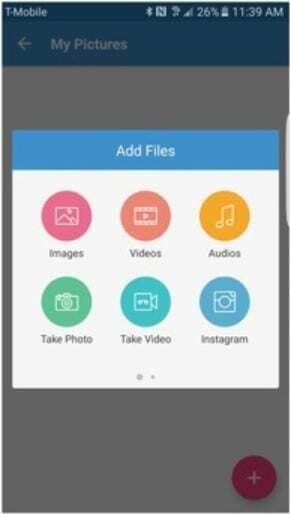 The app provides users an easy way to create a private space on your device from where important data including files and folders can be stored. Another best thing about File locker is that it can lock photos, videos, documents, contacts, audio recordings as well. 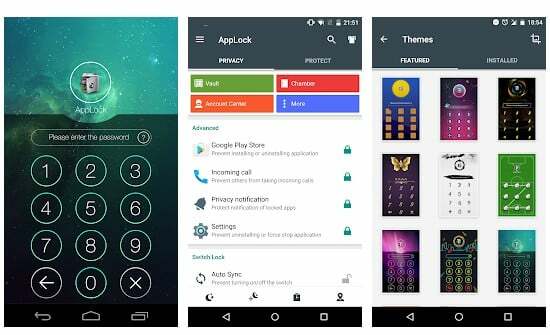 Norton App Lock is another leading app locker on the list which can lock apps with a password. Basically, its an app locker which allows users to add passcode security to apps that don’t have it. Apart from that, Norton App Lock can also lock private data and photos from the prying eyes of intruders. So above is all about Password Protect Any Particular Files & Folder In Android. 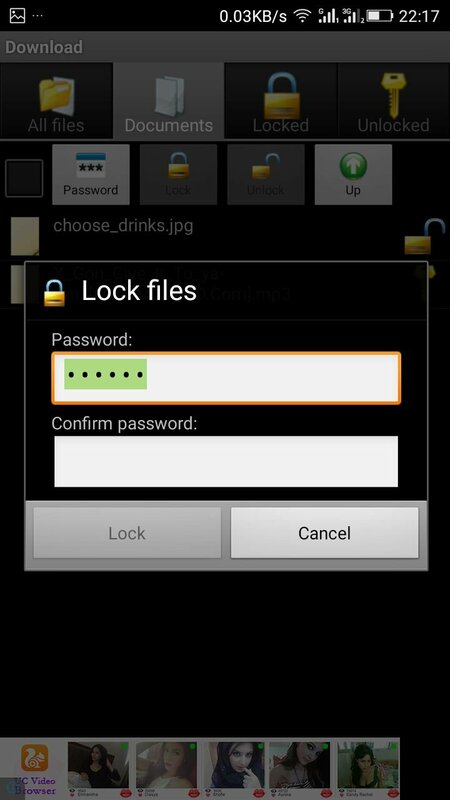 With this method, you can easily secure any files or folder on your Android smartphone. So, simply secure that files and be safe. Hope you like our work, keep on sharing with others too. Leave a comment below if you have any related queries with this.